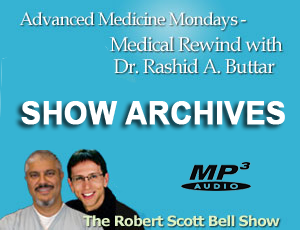 MedicalRewind.com – Dr. Buttar’s weekly Radio Segment on the Robert Scott Bell Show’s Advanced Medicine Mondays. 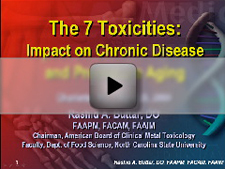 FactsOnToxicity.com – The Free Facts On Toxicity Video Series is a complete collection of short videos of riveting medical information which provides the basis of ALL chronic disease. The vital information is crucial for the world to know and has already impacted literally thousands of people around the globe. The9Steps.com – Dr. Buttar’s upcoming book, “The 9 Steps to Keep the Doctor Away”. The Medical Series – Where the Know Your Options, The Medical Series DVDs can be purchased. Build A Successful Life – Business Success Seminar information. DrButtarTruth.org – A Website with all the information about Dr. Buttar and the North Carolina Medical Board. Trans-D Tropin® Official Website – Learn about and purchase Trans-D Tropin®. Use Coupon Code “6” to save $20 off your initial purchase of Trans-D Tropin! MonaVie – MonaVie’s premier acai blends are products with a purpose featuring powerful antioxidant support, joint health and heart health. 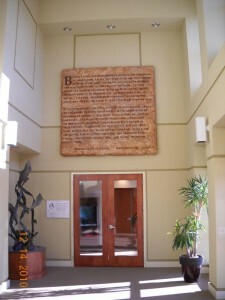 Centers For Advanced Medicine – Network of doctors utilizing Dr. Buttar’s protocols. AMESPA Children’s Foundation – Research and Treatment Foundation to help with research and provide treatment for childhood diseases, such as autism and cancer. MomsAgainstMercury.org – Dedicated to raising awareness while educating the public of the dangerous use of Thimerosal, a mercury based preservative, used in vaccines and the flu shot. Founder Amy Carson is the driving force behind Moms Against Mercury. Her passion for eliminating mercury and thimerosal in vaccinations stemmed from personal experience. SafeMinds.org – The Coalition for Safeminds (Sensible Action for Ending Mercury-Induced Neurological Disorders) was founded to investigate and raise awareness of the risks to infants and children of exposure to mercury from medical products, including thimerosal in vaccines. Safe Minds supports research on the potential harmful effects of mercury and thimerosal. Autism Defined – a website with useful articles and information about autism. Autism Mercury Link – a website with useful informationa about the Autism Mercury Link. Childrens Stories That Teach – Educational Children’s Books, by Debbie Buttar.